The African Centre for Media and Information Literacy (AFRICMIL) is partnering the Akin Fadeyi Foundation (AFF) on a major collaboration aimed at fostering a strong alliance in furtherance of both organization’s common objective to combat corruption in Nigeria, reports ITRealms. 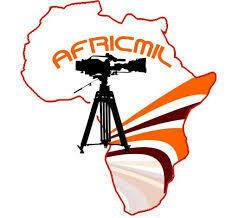 AFRICMIL’s project against graft is themed Corruption Anonymous (CORA) while Akin Fadeyi Foundation took the nation by storm when it launched Corruption Not In My Country, a series of audio-visual TV commercials against corruption at the micro level. It enjoyed the endorsement of international development partners like the European Union, UNDP and UNODC. According to Onumah, the CORA project seeks to promote whistleblowing among Nigerians, maintain the integrity of the process and ensure protection for whistleblowers. He said CORA would continue to work with like-minded organizations like Akin Fadeyi Foundation committed to recreating a new and better Nigerian society whose ideals, vision and aspirations are etched on transparency and integrity. “In working together, we shall explore further opportunities for creative, impactful and far-reaching messages to our target audiences and the public. This partnership will also enable us to strengthen the capacity of citizens to engage their leaders in public dialogue against corruption and demand for accountable governance,” Onumah noted. Corruption Anonymous (CORA) is a project of the African Centre for Media and Information Literacy (AFRICMIL) that seeks to build public confidence and support for the whistleblowing policy of the Nigerian government as well as reinforce protection for whistle-blowers. Akin Fadeyi Foundation has been unrelenting in raising citizens voice-action for more transparent institutions and general value reorientation through its grassroots Pan-Nigeria campaign against retail corruption tagged: CORRUPTION, NOT IN MY COUNTRY. Apart from TV broadcast, it has engaged with communities and taken the messages to schools to strengthen the capacity of young people as very critical vulnerable sectors of the society.